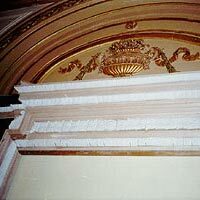 Restore 1st floor lobby areas, scope including restoration and replication of architectural millwork, decorative plaster, and decorative paint in this ca. 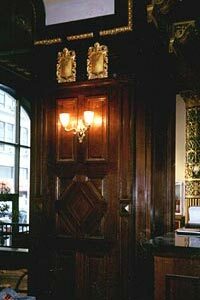 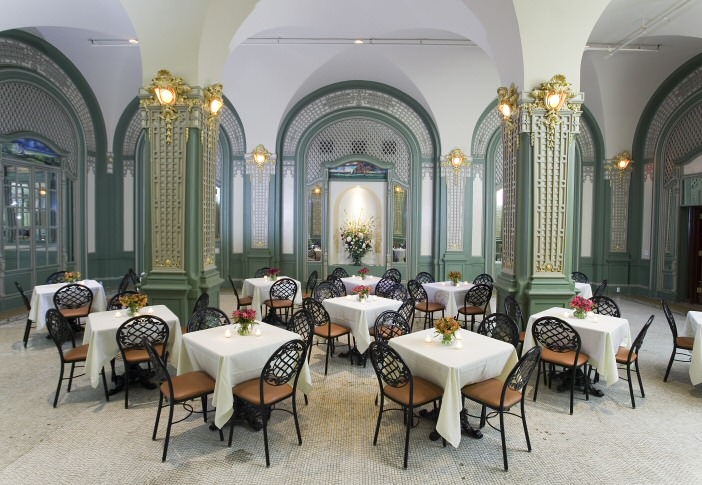 1905 neoclassical and neogothic 400 room hotel listed in National Register, and NYC Landmark. 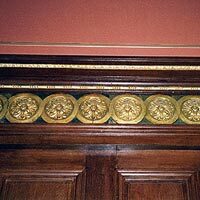 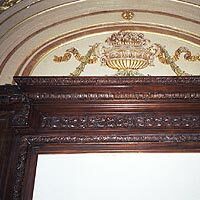 Replication of 12' high ornate plaster door trim and header panels, plaster Gothic medallions, plaster Corinthian column capitals, plaster acanthus wainscot capitals, and plaster fishscale molding in serpentine shape. 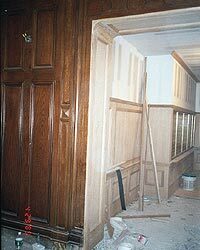 Replicate French boiserie panels, replicate solid quater sawn white oak raised and radius-raised wainscot 12'H. 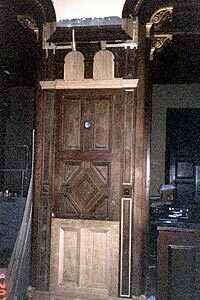 Replication of historic quarter-sawn white oak ,cherry, and mirrored doors appearance with 90- minute fire-rated doors. 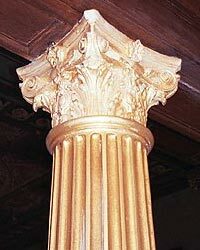 Replicated 8"x10" diam. 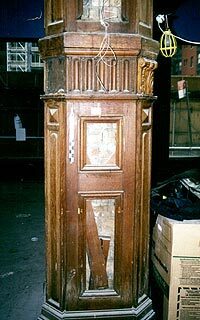 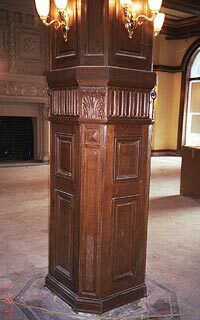 solid cedar fluted-and stop-fluted solid column with Corinthian plaster capital, and other paneling with Greek key carved moldings. 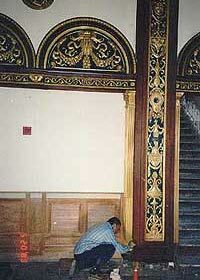 Refinished or restored all existing wood and decorative finished surfaces. 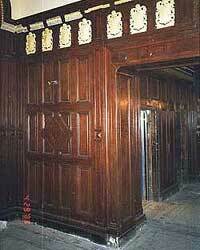 Designed and built mailroom to replicate other millwork designs and existing details. 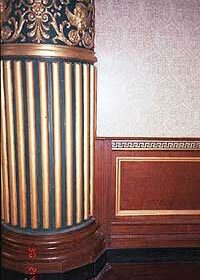 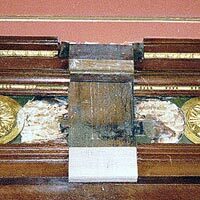 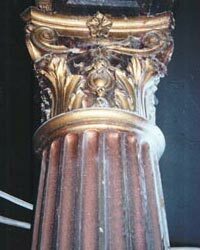 One panel of column replicated.